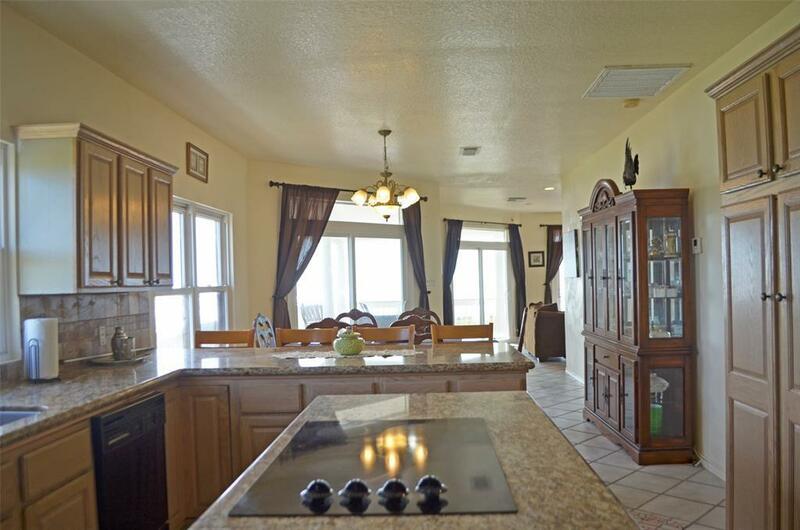 Beachfront home with amazing views - would make great vacation rental or primary residence! Enter this lovely one-level home through the foyer on the ground level - leading to an open living/kitchen/dining concept with tile flooring, walls of glass affording 180 degree views of the beach, gas log fireplace, & several entryways to the covered wrap-around decking. 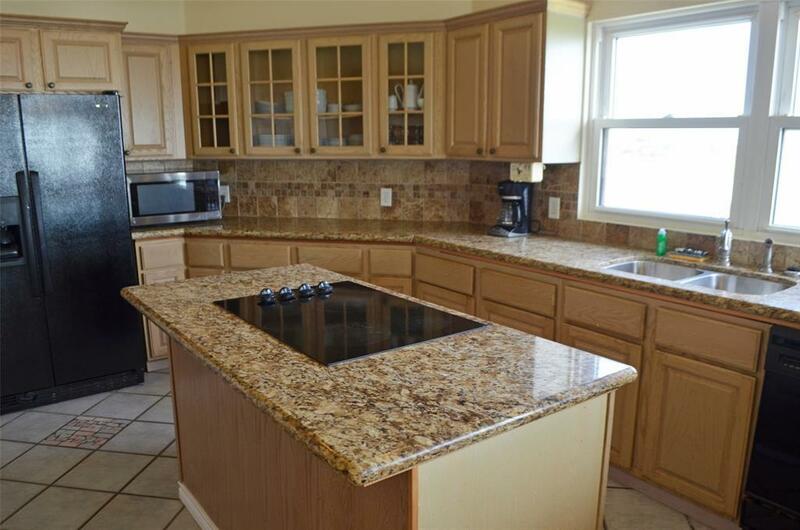 The kitchen has granite counters, additional seating at breakfast bar, tons of cabinets, and all-black appliances. 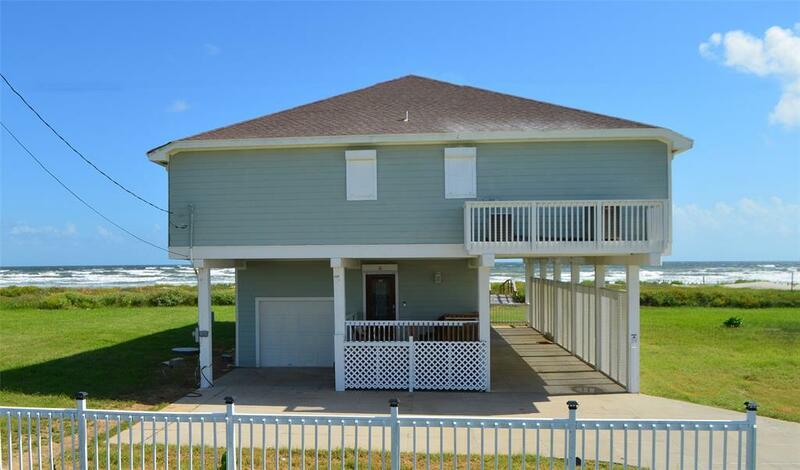 The large master bedroom has tile flooring throughout, a walk-in closet, views to the beach through the double-french doors leading to the deck, and a private bathroom. Master bathroom has double vanities with tile counters, jetted tub and a separate shower. 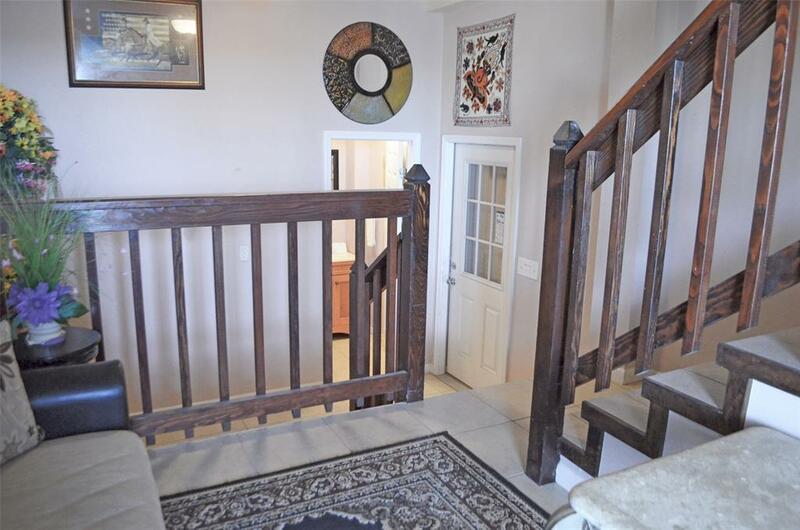 Three additional bedrooms, two of which have private bathrooms and deck entrances, and a half-bathroom in the common areas. Brand new vacation rental. Sold furnished.